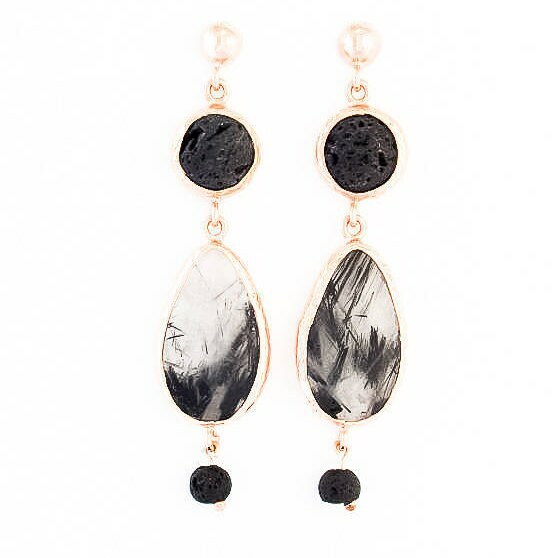 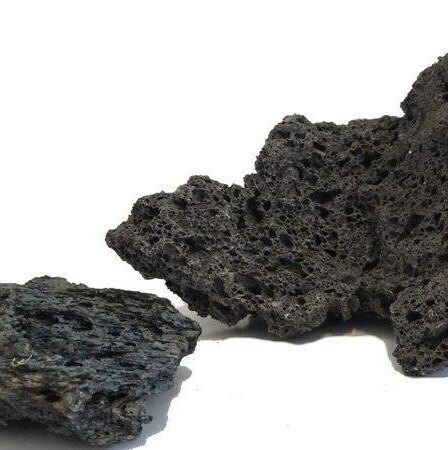 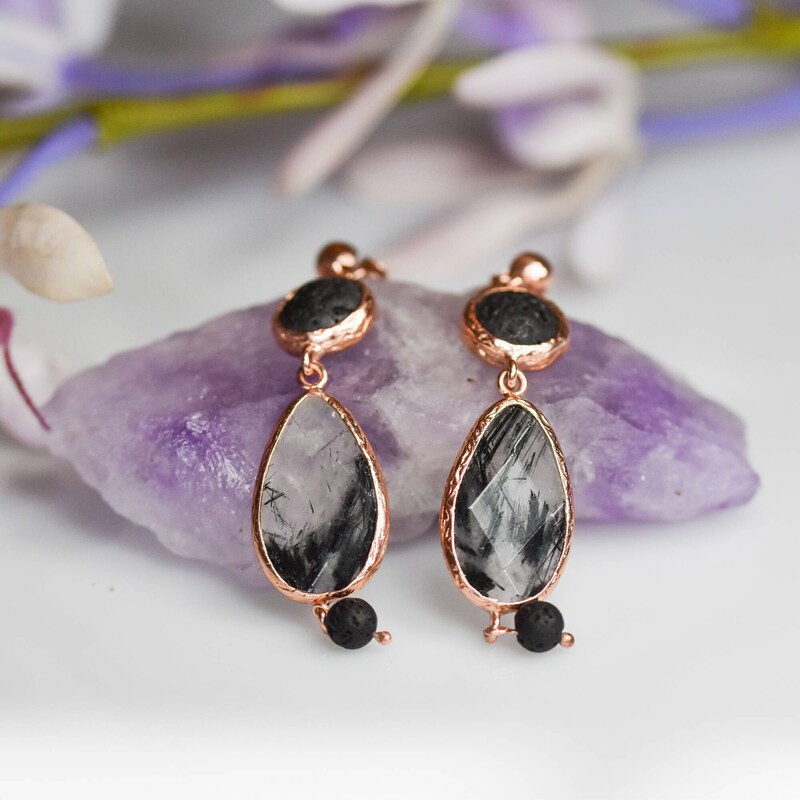 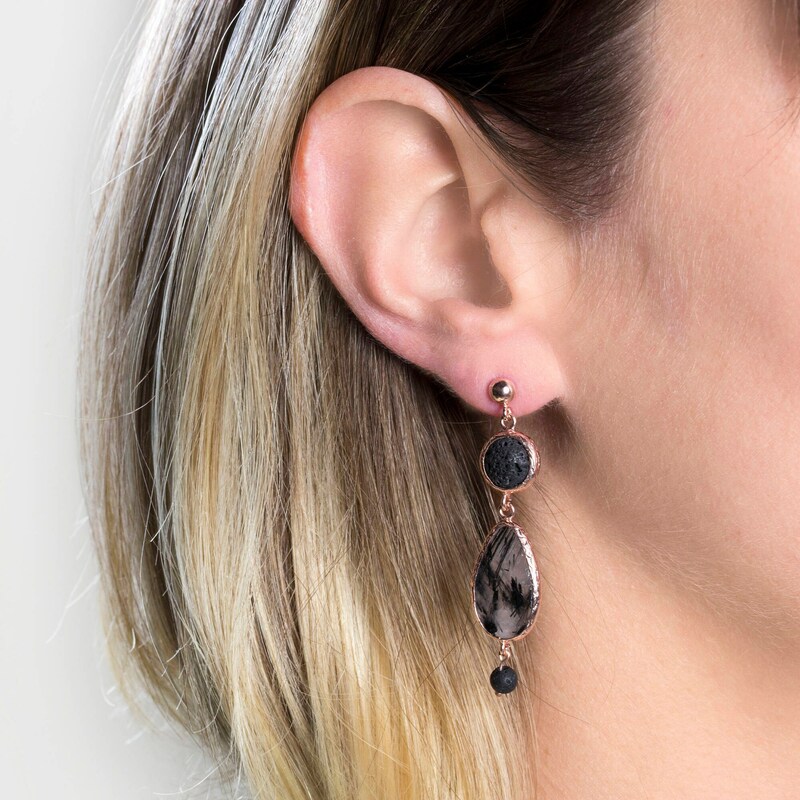 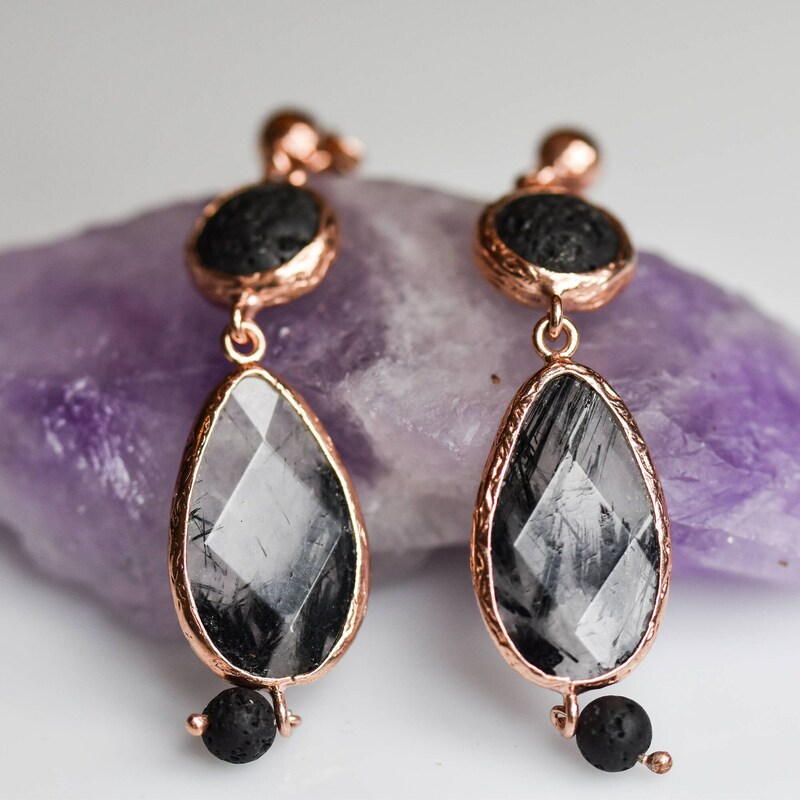 Beautiful Silver Black lava and Rutilated Quartz Earrings , Rose Gold Plated.The shape and color of the gem may slightly vary.Lava Stone is a grounding stone that strengthens one's connection to Mother Earth. 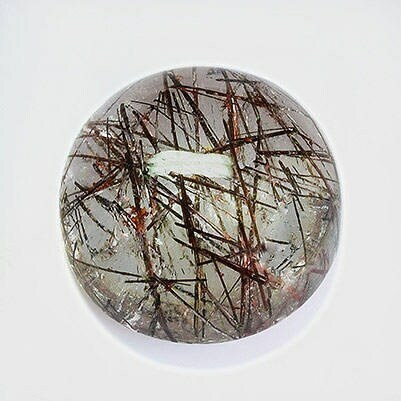 It gives us strength and courage, allowing us stability through times of change. It provides guidance and understanding in situations where we may need to "bounce back"